Just over three years ago, I was blown away by John Hyams’ re-invigoration of the Universal Soldier franchise. It was one that had languished in bargain buckets across the world, despite how great an action movie that first entry was. Universal Soldier: Regeneration managed to tow the line of action and interesting ideas better than any other straight-to-DVD action film of that year. Some people think it showed the multiplex boys who was boss too. We all thought good action flicks were back. Many are touting Hyams as Hollywood’s next big action guy. I could certainly see it. Unfortunately for Universal Soldier, here’s where the party ends because in spite of all of Day of Reckonings not-so-subtle subtext, masterful fight choreography, and references to Apocalypse Now, this is a jump the shark moment – for the second time in this movie series. 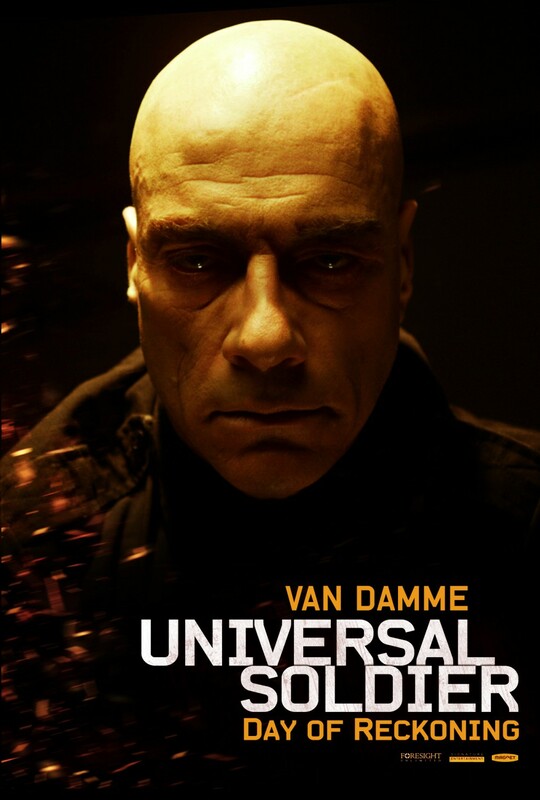 The plot follows John as he attempts to track down the man who killed his family, that man is Luc Devereaux (JCVD) who is now the leader of a separatist group of freed UniSols. One of the many interesting things that this film does, Day of Reckoning manages to accurately and intentionally cloud your judgement. If you’ve ever seen another UniSol flick then you know that Luc Devereaux is a good guy, but we see him do horrible things to innocent people. It’s a really effective way of injecting something different into the action movie series. Unfortunately, that injection is ultimately one that ends up putting down the franchise. You’ve got poor man’s Jason Statham (Scott Adkins) clearly being primed to take over from the returning cast members from the original films. What they have failed to realise is that without Dolph Lundgren or Jean-Claude Van Damme, Universal Soldier: The Next One is just another straight-to-video action flick vying for supremacy against WWE movies and Fight Factory releases. The fights are great, seriously violent brawls pepper the running time. They all kind of resemble that bit in Spiderman when Peter uses his slo-mo powers to dodge a punch and then stuff gets really fast. I reckon John Hyams watched Spiderman just before making this. Bargain bin Monica Bellucci is great too. It’s a lot of fun, while also landing searing blows on the nature of war, what it means to be a soldier, and when it’s time to quit. 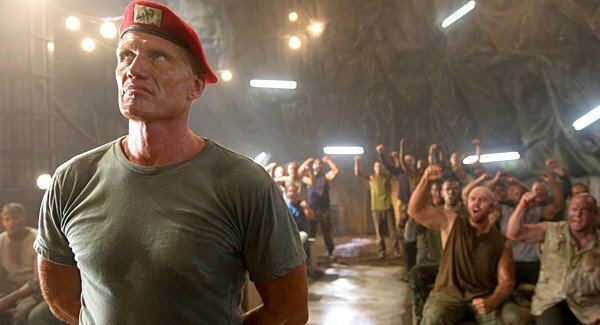 This entry was posted in Film and tagged 2012, Action, Dolph Lundgren, Film, Jean Claude Van Damme, John Hyams, Movie, Scott Adkins, Universal Soldier. Bookmark the permalink.